"Where the sea meets the moon-blanched land"
A sandy beach backed by dunes and a championship golf course. There are rock pools to explore, a pier and a nature reserve at the Barmouth. The tide at Castlerock Beach is currently rising. High tide will be at approximately 10:19 PM, and the next low tide will be at approximately 4:24 AM tomorrow. Approx 100 free spaces alongside promenade adjacent to beach. Also, parking on section of beach to right of main entrance is permitted, although vehicular access may be restricted due to soft sand. Dog restrictions in place between May and September. Beach mechanically and manually cleansed during summer season. around 6 miles east-northeast as the seagull flies, around 14 miles by road. around 7 miles east-northeast as the seagull flies, around 15 miles by road. 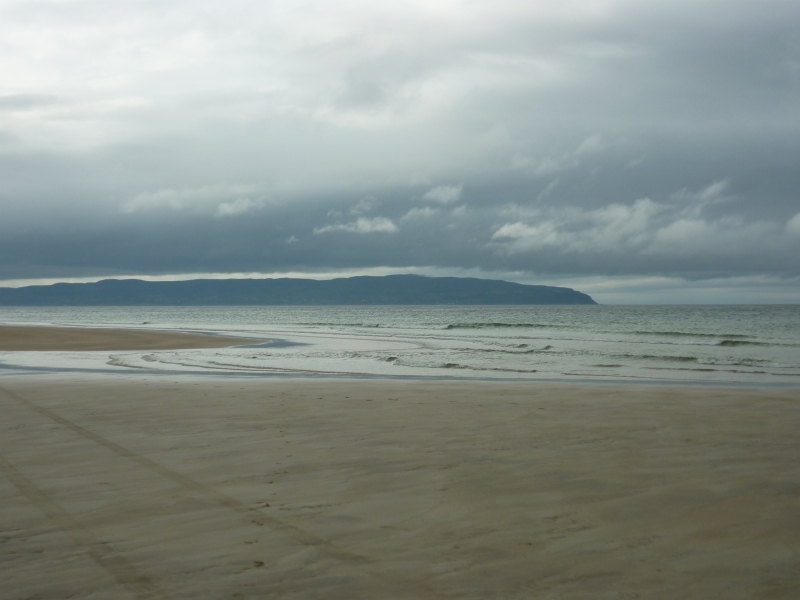 Visitor information for Castlerock Beach, Londonderry, Northern Ireland. Weather, tides, visitor comments, beach facilities, photos, nearest postcode, beach information and nearby accommodation.